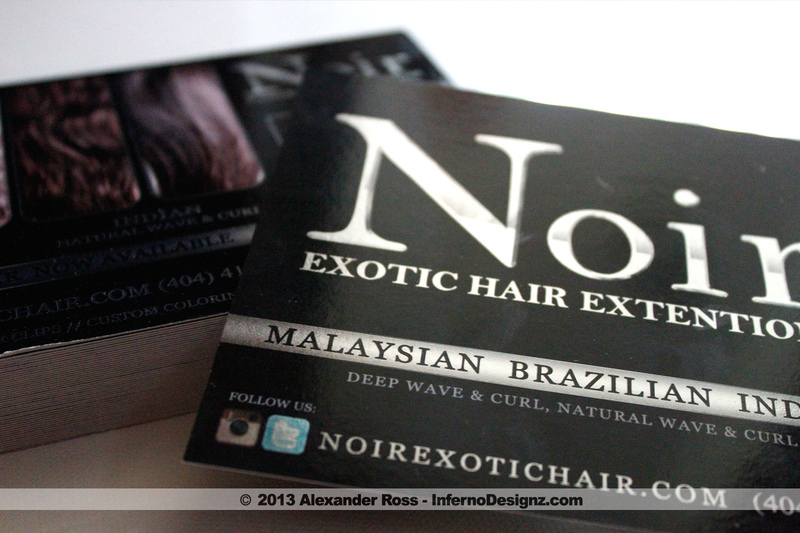 Ultra Premium Postcards with Metallic Ink for NOIR Exotic Hair Extensions. These flyers are printed with special metallic ink that is customized to specific areas to achieve a shimmery look. The postcards are printed on extra thick 16pt card stock with a high UV gloss.